Hi to all. 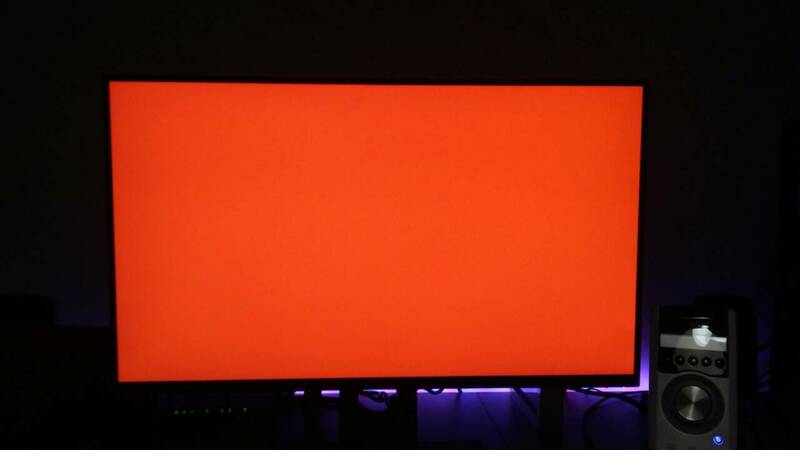 I recently bought the s2716dg monitor rev A04 . 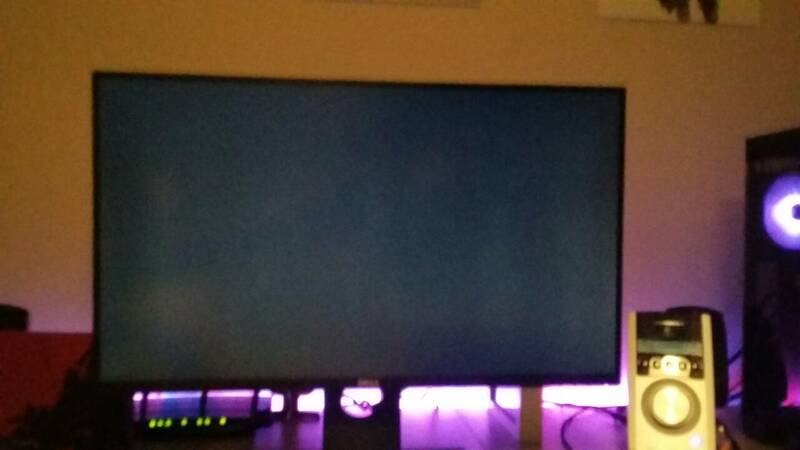 I love the monitor so far BUT i have a problem . 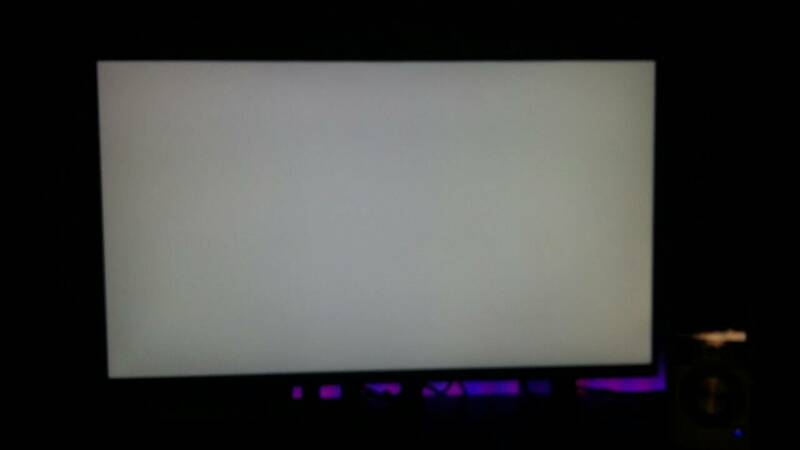 The monitor has no backlight bleed but it has clouding (vertical white patches) in almost the entire screen . I reduced the effect by lowering the brightness to 26 but i can still see them . I cannot see them in colored images , only in dark . It really bothers me at dark panning shots , for example a dark game which i slowly rotate the camera , it looks like the screen is unevenly lit . 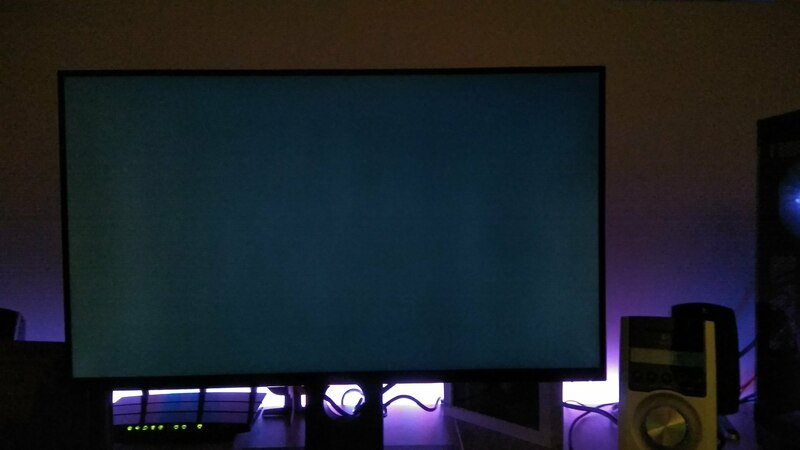 Is my clouding within rma ? I mean is it considered acceptable. The photo below is almost what it looks in real life ,a little overexposed in the photo . Hi . I am posting the photos you asked . 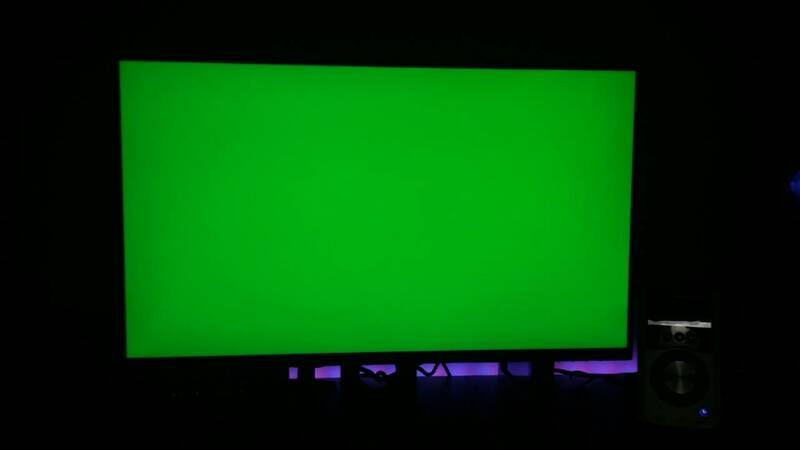 Room light is on , although because of the camera auto adjusting itself when there are bright colors on the monitor it looks like the light is off which it isn't . I can't see anything wrong in solid colors , but in the black one i see clouding as i described it above . 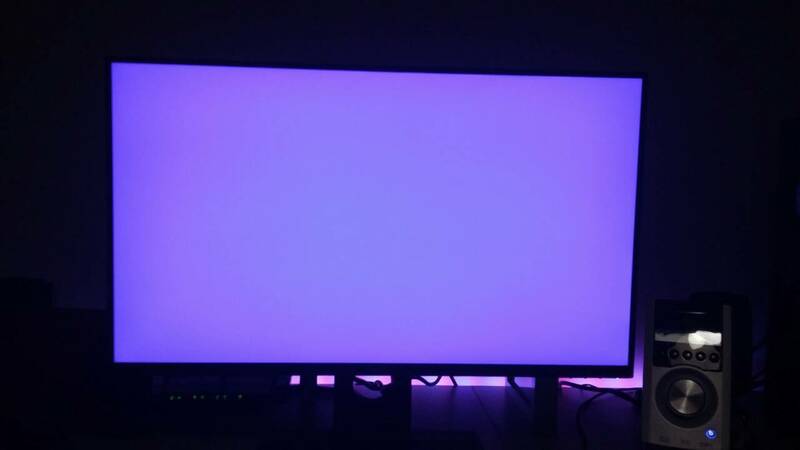 We could not exchange this S2716DG. If purchased directly from Dell, you have 30 days from the Dell invoice date to return the S2716DG for refund.